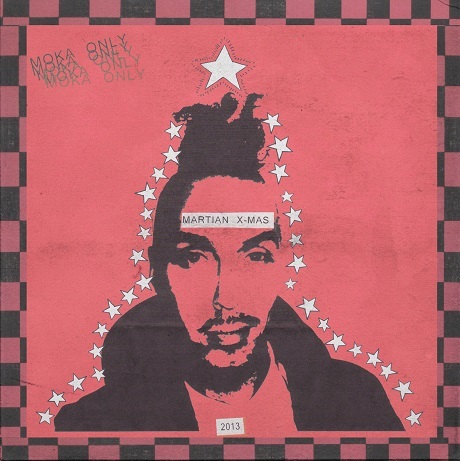 With snow hitting Vancouver city streets earlier this week, West Coast rapper Moka Only has decided now's as good a time as any to launch his latest Martian Xmas mixtape. The 2013 edition of Moka's annual holiday gift offers up 15 new tunes, kicking off with the spirited wish list "All I'm Asking For" (spoiler: it's peace and love, "nothing more, nothing less"). Elsewhere, he brings bars to the smooth and jazzy synth-and-horn bubbler "Chicken Holiday" and riffs on both the Christmas season and old-school heads likes Leaders of the New School for the whistle-driven boom-bap cut "Ringin the Bells." You can catch up on the Martian's holiday activity by giving the set a spin via the player down below, or picking it up over on Bandcamp.